DeLorean Motor Company (DMC) is an automotive company founded by John Delorean in 1975. 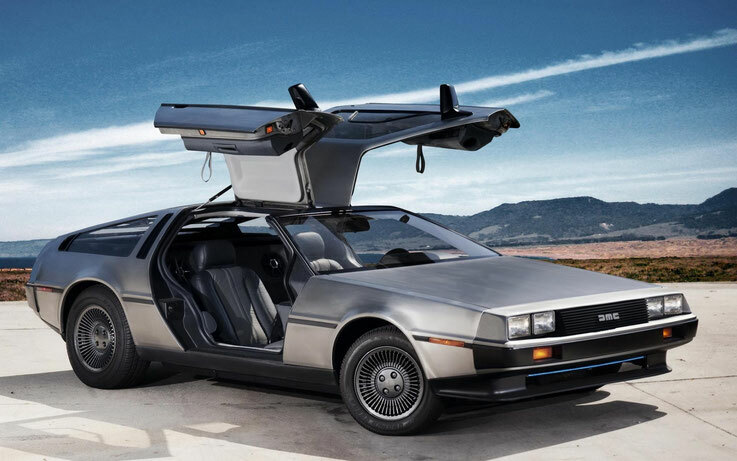 DMC is known for its only model released - a DeLorean DMC-12 sports car with a stainless steel body and gullwing doors. By 1982 the company had fallen into decay, transferred to external management and was declared bankrupt. The car DeLorean DMC-12 has gained worldwide fame thanks to the fantastic kinotrilogy "Back to the Future" in which the eccentric scientist-inventor Emmett L. Brown converted the DMC-12 into a time machine. Closer to the completion of the company's activities, allegedly in a desperate attempt to raise funds needed to support the work, John Delorean was photographed by the money-givers due to illegal drug trafficking, but later it was fully justified, and the charges against him were recognized as provocation. According to some reports, this was the result of the conflict, when before the dismissal from the General Motors Company, John decided to publish all the internal strife of the company and published a book on internecine wars inside the company, which, of course, did not appeal to the upper ranks of this automobile giant. The fabricated case of drug trafficking has become a kind of revenge for the leadership of the exposure. All investors, without waiting for a court decision, withdrew their capital from the DeLorean Motor Company. When subsequently Deloirean was found not guilty, he had a cash balance at zero. In 1995, a mechanic born in Liverpool, Stephen Wine founded his independent company using the name DeLorean Motor Company, and shortly thereafter acquired the remaining assets, as well as the stylized DMC logo of the trademark DeLorean Motor Company. The current company is located near Houston, Texas, and is not and has never been associated with the original Deloirean company, but is supporting DeLorean car owners. DMC additionally has 5 authorized franchised dealers: in Bonita Springs, Florida; Crystal Lake, Illinois; Garden Grove, California; Bellevue, Washington and Hem; Netherlands.